HCM City (VNA) – Nearly 120 domestic and foreign fisheries firms will join the Vietnam Aquaculture Expo & Forum at the Can Tho International Exhibition Fair Centre in the Mekong Delta city of Can Tho from October 25-27. The event will be co-hosted by the Directorate of Fisheries, the Vietnam Fisheries Society, the municipal branch of the Vietnam Chamber of Commerce and Industry and the UMB Corporation, with nearly 4,000 guests taking part. 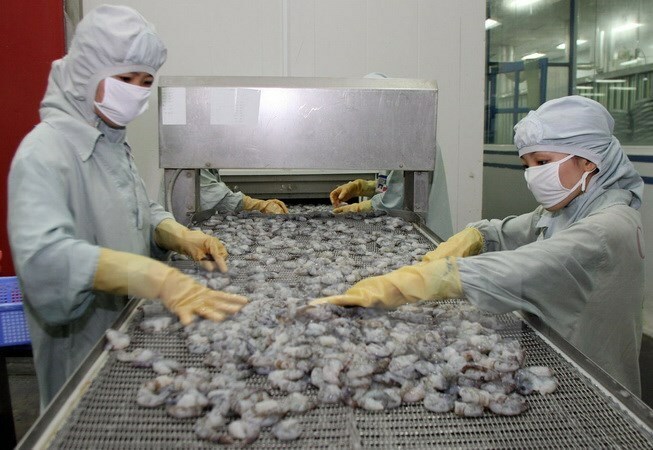 At a press conference in Ho Chi Minh City on August 10, Vice Director of the Directorate of Fisheries’ Department of Science, Technology and International Cooperation Vu Duyen Hai said the event affords participants a chance to choose advanced technologies to improve fisheries output, quality and processing. On display will be farming equipment, fisheries feed and manufacturing equipment, processing and packaging lines, among others. Issues regarding varieties quality, epidemic diseases, aquaculture technology, processing and export, markets, services and sustainable development will also be discussed. As part of the event, the Mekong Chef 2017, themed “Festival of Vietnamese tra fish and trade promotion”, will be held with a view to introducing processed tra fish from professional chefs at home and abroad to visitors.